Americans have a romanticized image of English boarding schools. RIBBLESTROP is the opposite of that. Writer Andy Mulligan has created what must be the most dangerous school on planet earth. And this trio of readers at Watchung Booksellers in Montclair, New Jersey, debate whether they'd like to attend. Peter Sagal, playwright and host of NPR's quiz show "Wait, Wait, Don't Tell Me!" is celebrity reader. Kitty Felde is host. Peter Sagal is host of the NPR quiz show "Wait, Wait, Don't Tell Me"
This past weekend, thousands and thousands of kids marched in Washington and cities around the nation to call attention to a serious topic kids shouldn’t have to face: gun violence. This week on Book Club for Kids, we talk about the novel "The Ethan I Was Before." It's the story about a boy facing a life and death situation. Our readers from Capitol Hill Day School talk about trauma and the resilience of children. Writer Ali Standish talks about how you write a book about a serious topic for young readers. Actor Michael Paul Chan ("Major Crimes" and "The Goonies") is celebrity reader. Kitty Felde is host. Got a nickname? Everybody in Key West seems to have one. Including a little girl named Turtle. 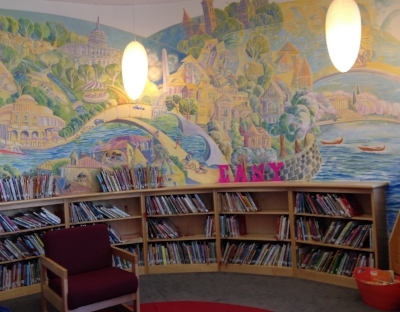 Readers at the Mamie Doud Eisenhower Public Library in Broomfield, Colorado discuss Jennifer Holm's "Turtle in Paradise" with host Kitty Felde. KQED public radio's Rachel Myrow is celebrity reader. Want to hear more from Jennifer? Listen HERE. Celebrity reader and KQED Silicon Valley Correspondent Rachel Myrow. She's also co-host of the podcast Love in the Digital Age. Is there really a secret school in Washington, DC to train kids to become spies? We ask the experts in this episode: kids from Key Elementary in our nation's capital and the man whose job description includes overseeing the activities and budget of the CIA, California Congressman Eric Swalwell. Author "Spy Kids" Stuart Gibbs joins us to share the inspiration for our novel "Spy Kids." Want your own copy of the book? Order it now. Want to hear more from Stuart? Listen HERE. Celebrity reader, Congressman Eric Swalwell of California. He's the ranking member on the House Subcommittee on the CIA. Book Club goes to the dogs. Or rather, one particular dog: "Old Yeller," the classic tale of a Texas hound dog by Fred Gipson. The book was the pick of one Washington DC reader who loved the book so much, she wrote a letter to the late Mr. Gipson and won a national honor award in the Letters About Literature contest. We'll hear from Ellie and her classmates at Lafayette Elementary School in DC nd a real dog expert: Mia Cobb, a canine scientist from down under. Actor and Texas native Michael McKinley is our celebrity reader. Mia Cobb and Rudy can be reached at Do You Believe in Dog? Khalil, Novaun, Kyle, Kofi, and Joseph from Watkins Elementary on Capitol Hill composed a song about Kwame Alexander's Newbery Award winning book "The Crossover." We asked our Book Club for Kids summer intern, University of California Irvine student, Trianna Eichinger to pick her favorite episode. Trianna says she loves basketball, but not poetry, but these kids' discussion of "The Crossover" may have changed her mind. Kwame Alexander talks about poetry and our celebrity reader is a professional basketball player, LA Laker Tarik Black.